Eating healthy is so hard. Sometimes you just want a little something sweet to close out the day! Last Wednesday, I came home from work feeling tired, lazy, and ready to nom on something yummy. I have purposefully not been buying ready-made unhealthy snacks to save myself from this exact situation. Ugh – I know me too well. I happen to glance at the counter where I noticed two very much overripe banana. Gross. I could make banana bread? But I am feeling way too lazy for that. What else have I got in the cabinet? 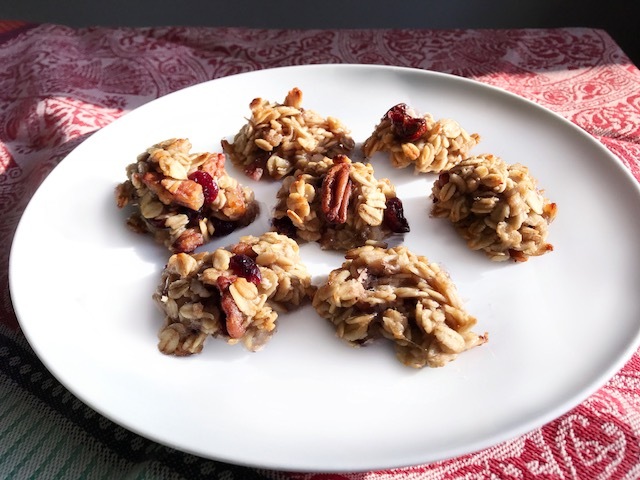 Some pecans, dried cranberries, oats… Voila – the Healthy Cranberry Pecan Oat Cookie is born. These cookies could not be easier. They are quick to make, quick to cook, and quick to disappear (get it, because you will eat them all). 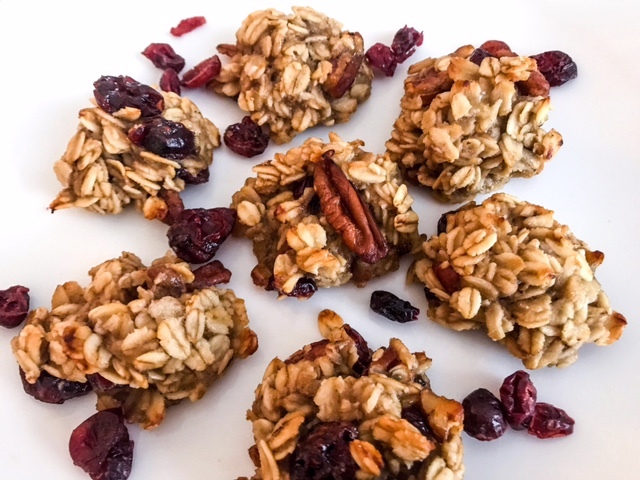 They are packed with yummy oats, tart dried cranberries, and crunchy pecans to give you mouth the texture its craving. A little bit of honey goes a long way so your sweet tooth will be pleased! I’m not going to lie – I would not necessarily serve these cookies to a huge party. They are not that type of cookie. When I eat a cookie at a party, I want to be wow’d. I am indulging in something delicious. These cookies are too healthy for people to truly appreciate. So unless you put a sign out saying “check out these healthy cookies!” – I recommend holding this recipe for more personal use. These are the type of cookie you want to binge eat on your couch and not feel bad about it. Alone or with your bestie(s) – you may eat the whole pan. 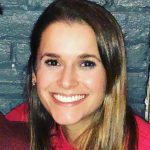 Don’t worry – I won’t tell on you :). Preheat oven to 350F. Lightly grease a cookie sheet with oil or cooking spray, then set aside. In a medium-sized bowl, mash bananas with a fork. Add oil and honey, mix until combined. Add oats, pecans, dried cranberries and salt to banana mixture, mix until ingredients are evenly distributed. Use a tablespoon to scoop spoonfuls of dough onto greased pan. Bake at 350F for 15 minutes or until oats begin to brown. Remove from oven and allow to cool completely.